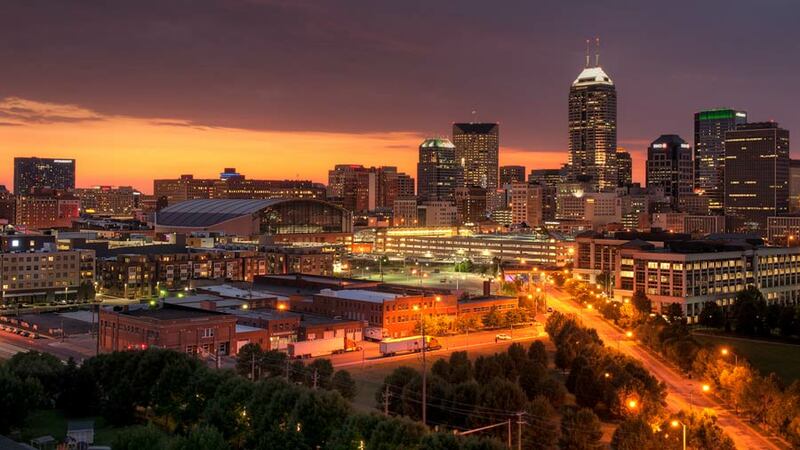 Traveling to and around Indy is easy, convenient, and affordable, whatever mode you choose. 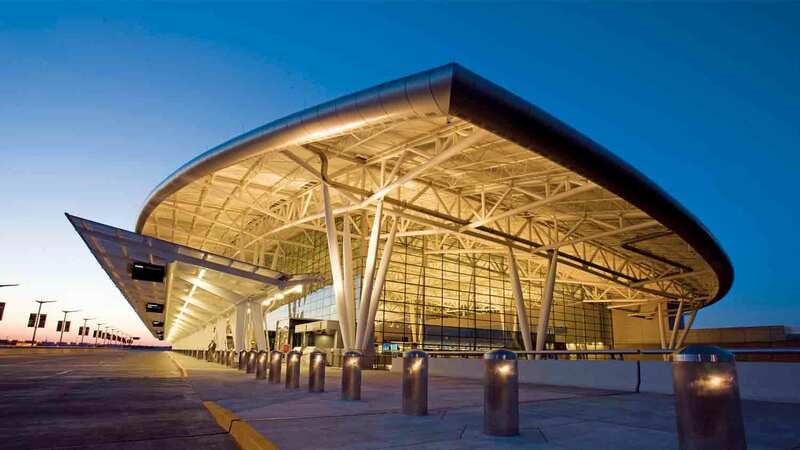 Our airport has racked up tons of accolades for its smart design and top-notch service. Once on the ground, visitors find Indianapolis to be extremely walkable and easily navigated. As the first airport designed after 9/11, IND combines state-of-the-art security measures with smart design and plenty of public art. Speedy service, great restaurants, and plenty of shops to find that perfect souvenir have earned the airport a wall full of accolades, including Best Airport in North America by Airports Council International (seven years running), Best Overall Passenger Experience by J.D. Power and Associates, and Best Airport in America by Condé Nast Traveler the past five years. It's also the world’s first LEED certified airport and boasts the fastest free Wi-Fi of all U.S. airports. 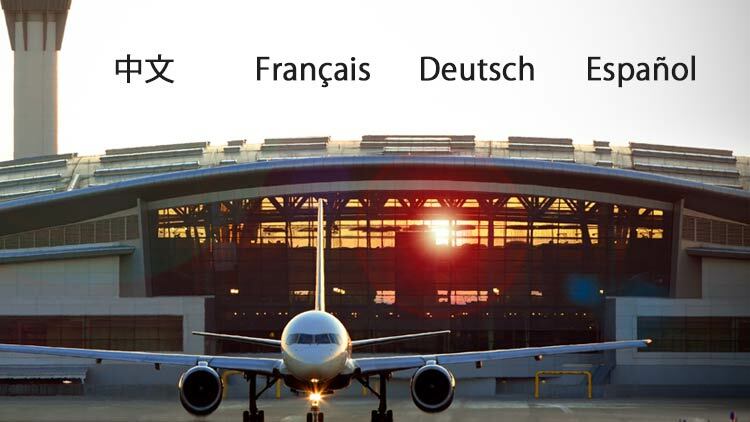 IND has added 40 new flights and 18 destinations in the last few years to achieve record airlift, greater access from the West Coast, and a transatlantic flight between Indy and Paris. 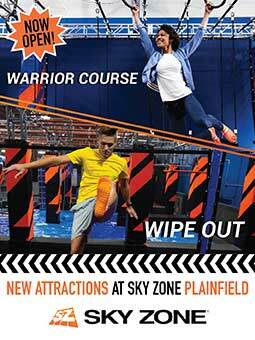 Click here to see a flight map. 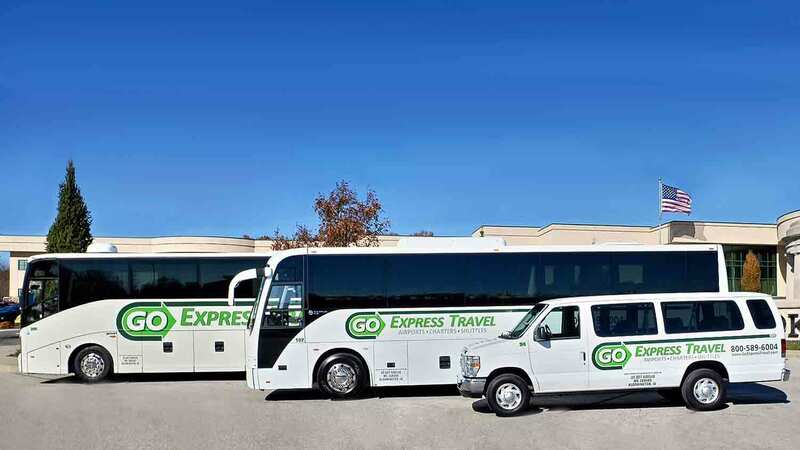 In addition to taxis (about a $35 fare), Uber, Lyft, car service, and the IndyGo public bus system, Go Express Airport Shuttle provides a clean, safe, affordable way of getting from the airport to downtown hotels. This express, non-stop bus service runs every 30 minutes from 5 am-11 pm for only $12 one way. For those meeting at airport-area hotels, most provide complimentary shuttles for guests. 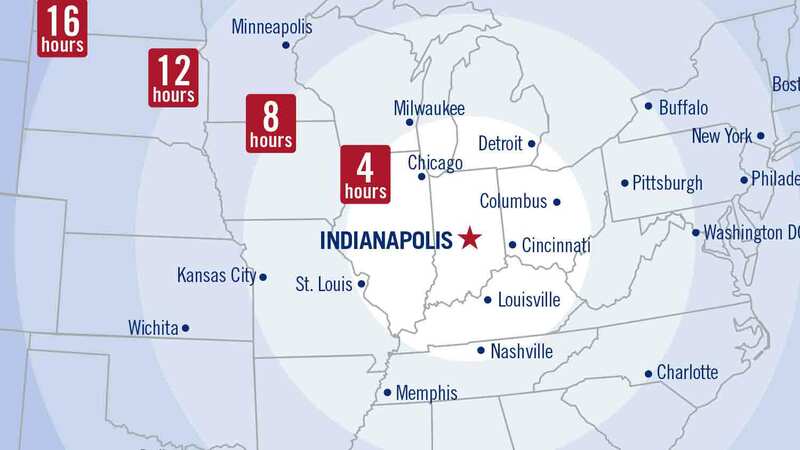 Known as the Crossroads of America, Indianapolis is within a day’s drive of over half of the U.S. population and within three hours of Chicago, Louisville, and Cincinnati. Traffic congestion is a rarity, visitors find the city’s grid layout straightforward, and downtown features over 73,000 parking spots. Transportation companies provide traditional sedan and limousine service from the airport to hotels, rental cars are conveniently located at the terminal, and taxis are plentiful, but other options are available as well. 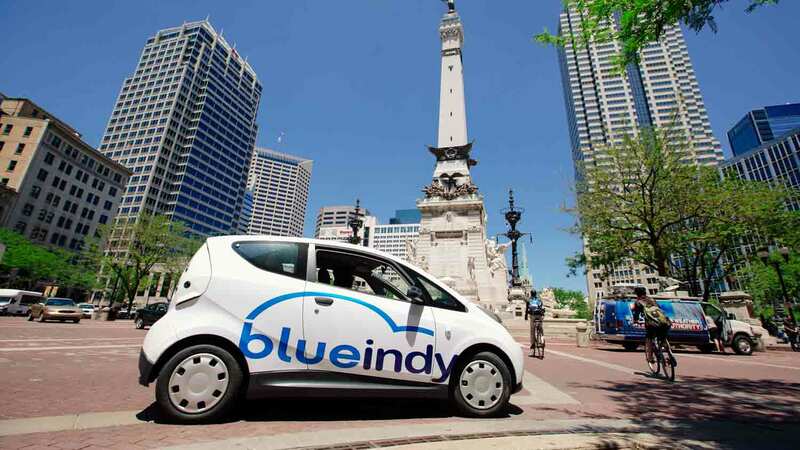 The Blue Indy all-electric car share is launching with electric cars strategically positioned around the city. 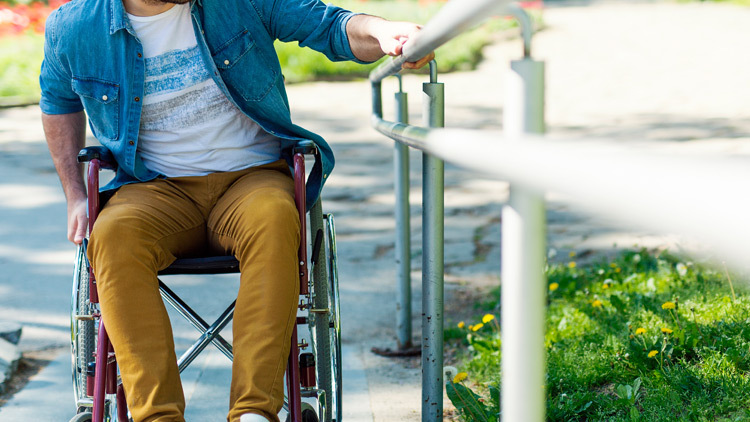 A visitor can pick up a car at the airport, drive it downtown, and drop it off at another charging station near the convention center or host hotel. And Uber and Lyft provide app-based car service from knowledgeable city ambassadors. Requesting and paying for these rides are done via mobile phone. 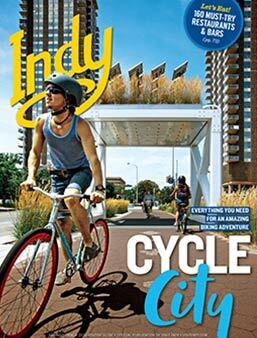 Away.com named Indianapolis one of the best cities to see from a bicycle, thanks to the city’s flat landscape, innovative Indianapolis Cultural Trail, and abundance of bike paths. 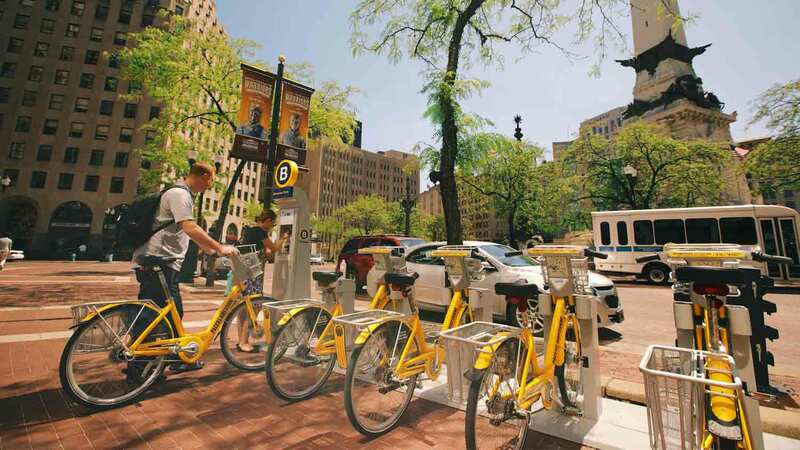 Some hotels offer guests complimentary bikes, or they are available at two convenient rental locations and through the new Pacers Bike Share Program. 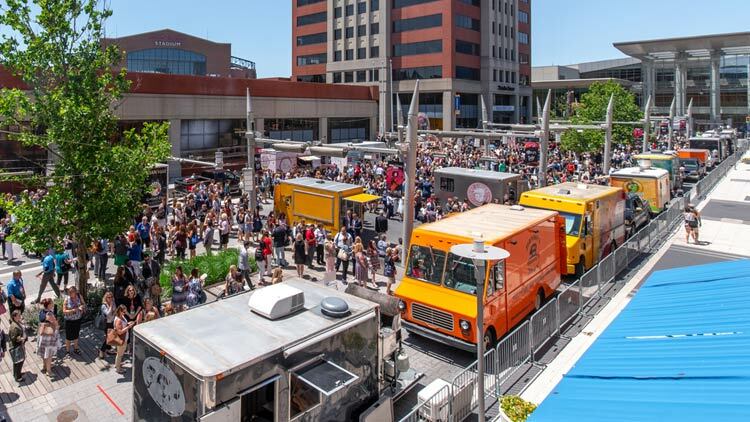 National journalists have proclaimed Indy one of the most walkable downtowns in the country. On foot, visitors can reach hundreds of restaurants and attractions from their hotel and meeting space. An expansive network of climate-controlled skywalks connecting 4,700 hotel rooms to the convention center, Lucas Oil Stadium, a four-story mall, and restaurants keep it walkable in all weather. 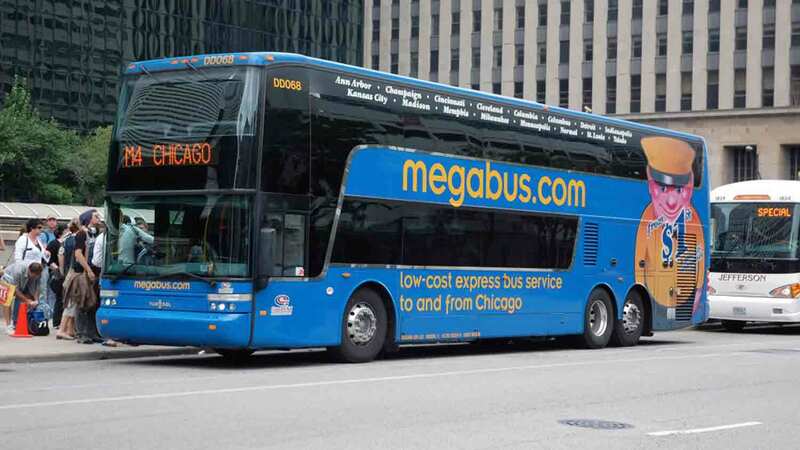 Other options for reaching the destination include Amtrak, Greyhound, and Megabus, which all have hubs in the downtown area.